12 in. 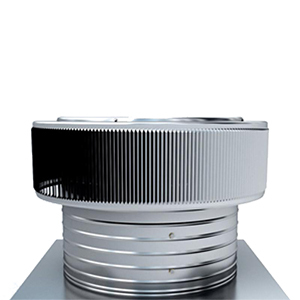 inside diameter Aura 800 CFM electric powered fan ventilator system. Includes 18x18 in. base flange with a 6 in. collar height for shingle, tile or foam roofs. All aluminum, mill finish. Price/Each.